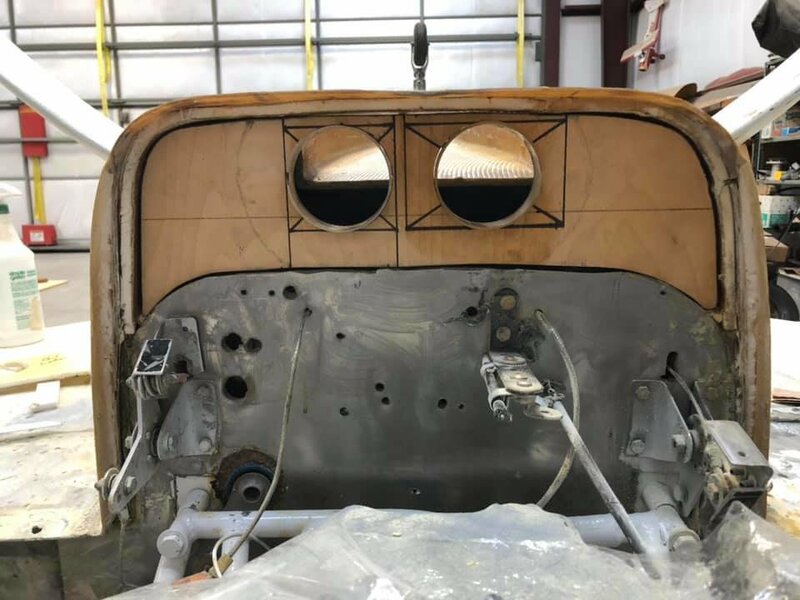 Just discussing the need to use the minimum amount of cooling air and get it into the engine compartment, through the fins, and out in the most efficient way. 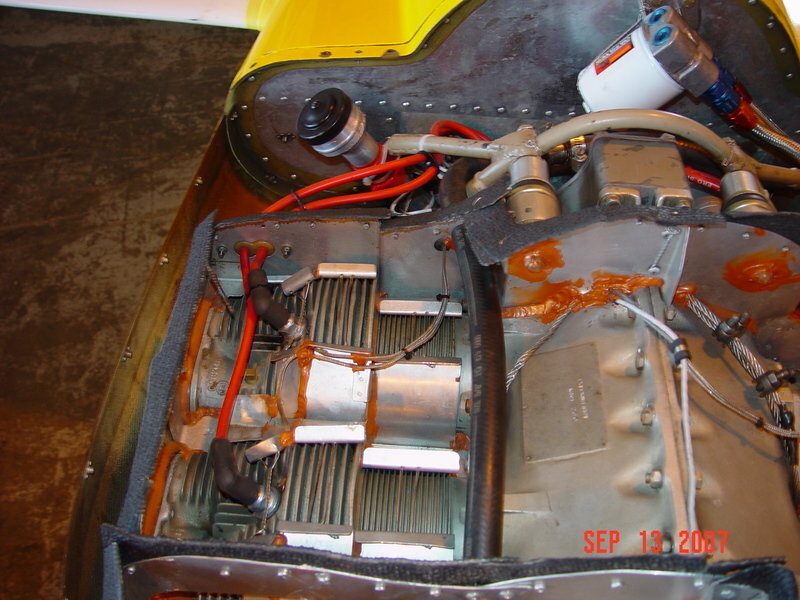 FYI here are pics of a Lancair cooling system by the late Paul Lipps (pics 1-4). 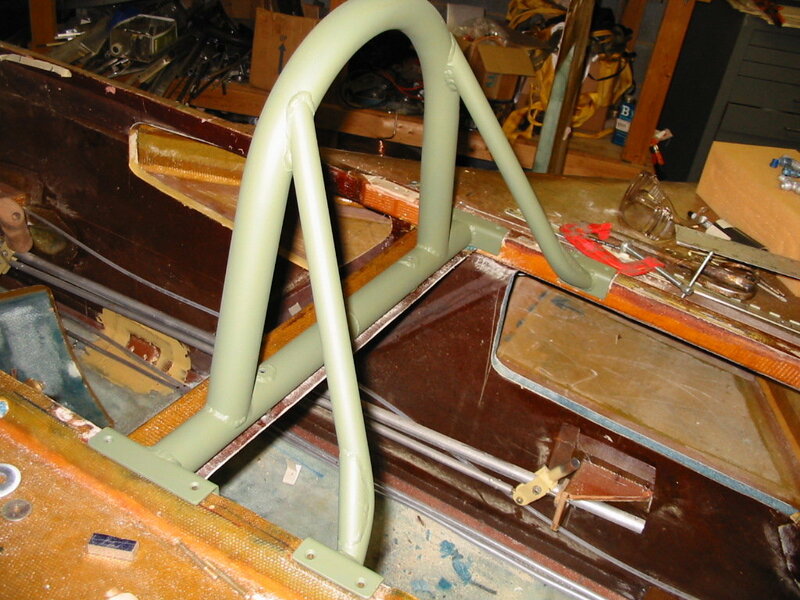 A number of folks have used on-top plenums on their canards similar to pics 3 & 4. 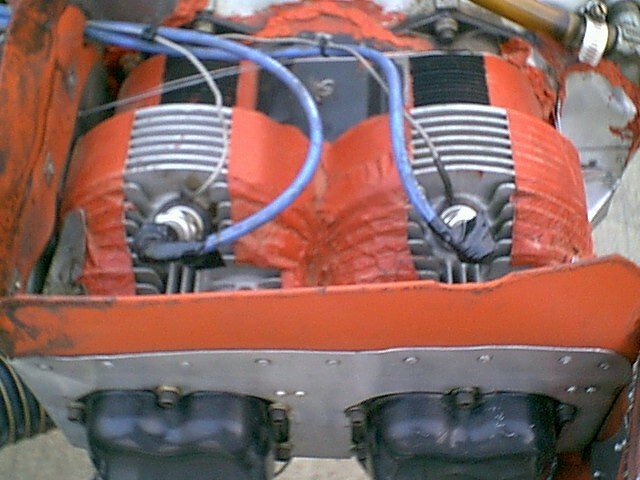 I used a similar plenum on my EZ project (pic 5) but notice that Lipps also wrapped the cylinders to get (I suppose) even airflow around the fins. That seems a more complicated than necessary; the top of my cylinders were left open, inside the plenum but if Lipps' idea works . . .. Couple of pics of my EZ intakes here for comparison. My EZ cooled well in cruise but got a little hotter on climbout. If I kept the speed around 120 KIAS, it was satisfactory. Seen on a FB page: This ain't going to work, I'm afraid. 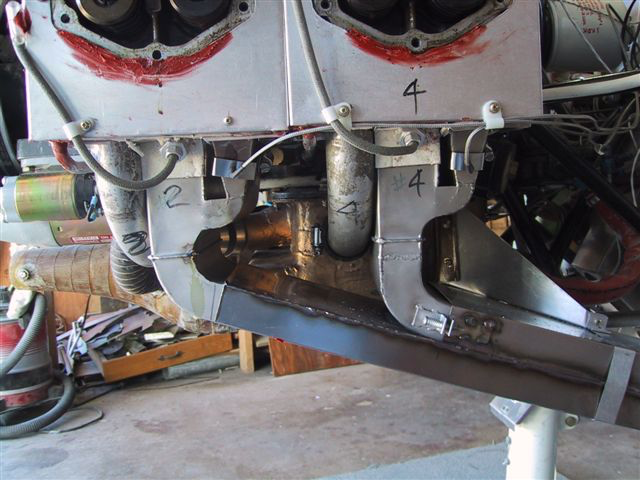 A nice NACA duct that abruptly ends in two holes for "oil and ram air". It totally defeats the reason for the NACA duct and square-edge holes are aerodynamically smaller than they appear. Imagine all the turbulence in front of those holes, too. At least the Cozygirrls were pointing that out to him. Well, that's Facebook. 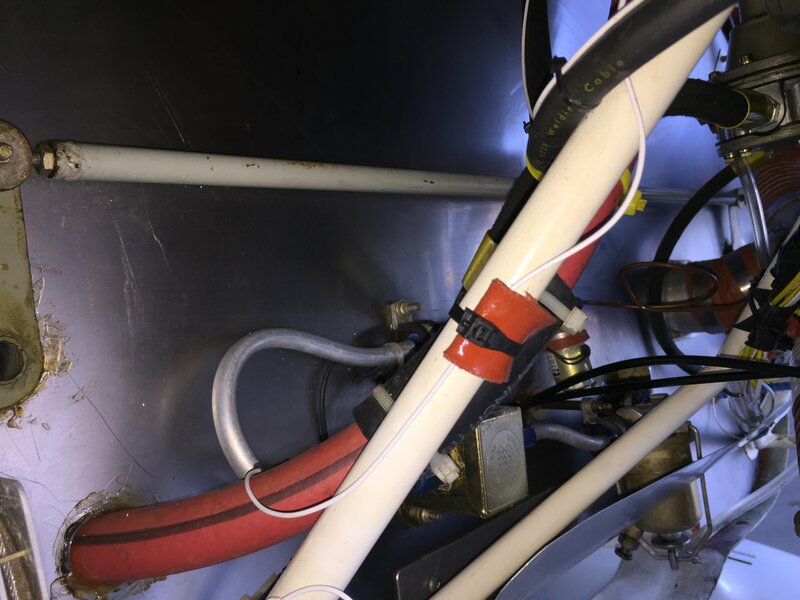 While I have not yet built a cooling system on my project, it is a subject I have studied a fair amount, as it is one in which you can make good gains, or mess up entirely. Creating a restriction like that is a sure way to the latter end! 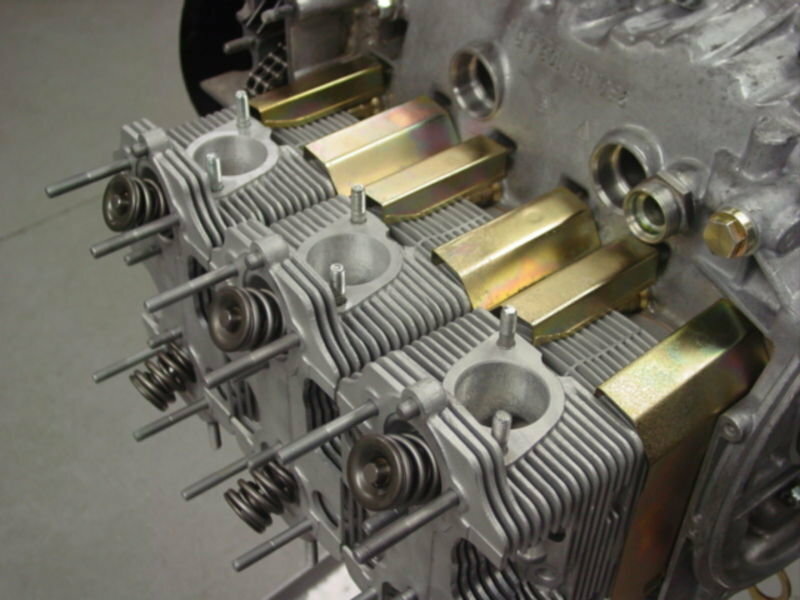 Here's something new to me: A way to stiffen air-cooled cylinders. 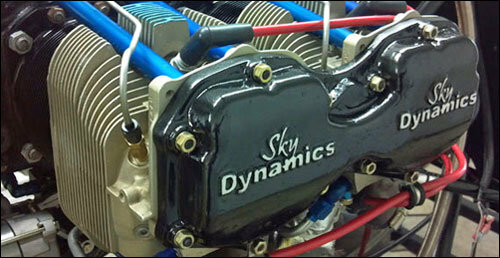 http://www.skydynamics.com/products/engine/top-cylinder-girdle I wouldn't doubt that those cylinders vibrate, ring, or flex quite a lot. It seems like a good idea but is rather pricey. Besides, most engines just rust out before they wear out. Sealing up the airplane: If you can keep drafts out of the airplane, sunlight will almost keep you warm enough. We use sweaters, a heat muff and sunlight. It is pretty comfy down to 0F. I am not in favor of oil heat simply because it adds weight, complexity, adds to the build time and is probably not necessary in a lil' 'ol homebuilt. Electric heaters use a lot of amps. Better to just seal up the airplane and wear a sweater. If I flew more in cold weather, I would add an inline fan with the heat muff. 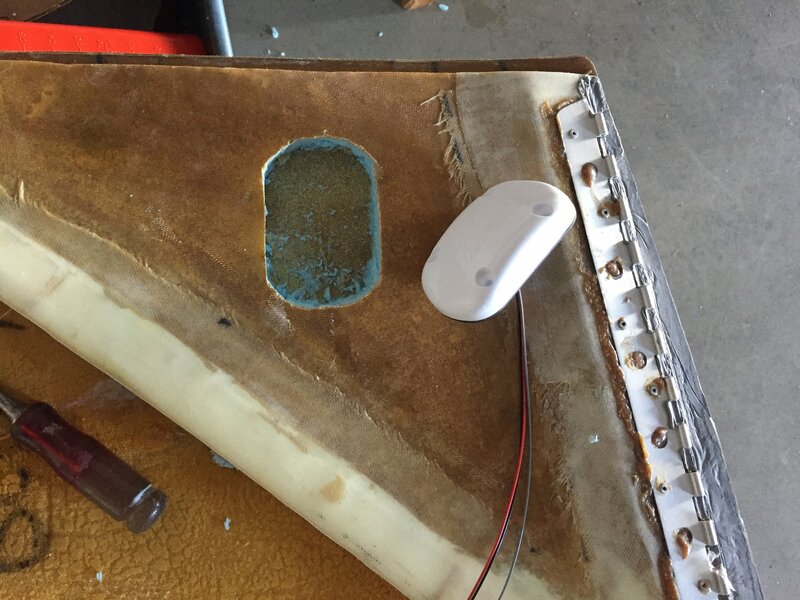 I am sorry I used a fuselage door with a Hartwell latch. It leaks so much air I wear a glove on my stick-hand in the winter. Below is door idea that can be sealed up rather well. Some folks have hidden latches that don't need a door. Pic 3 is a pic of my canard off the airplane, bottom side. The air-dam between the elevator and canard matches a similar air-dam on the fuselage so it's pretty tight. My airplane was pretty airtight until I added an electric nose gear mechanism. I will probably make a cover for the motor-head and NG30s one of these days. To make a canopy seal, I used balls of modeling clay, shut the canopy against them and measured how much they got squished to make a canopy seal with hardware-store seal built up as necessary with 3M double-stick mounting tape. That works pretty well. Many of these I’d forgotten but there are things I pay special attention to today because I read something in an accident report: things like inspecting the gascolator regularly for debris, leaning for takeoff at high density altitude takeoffs, being very careful when exploring the stall in a new airplane. Those things have trashed new airplanes and killed or nearly killed pilots. These days, lots of people are buying flying canard airplanes. Idealy there would be a course on lessons learned with them. There isn’t, so you have to teach yourself by reading the reports. Those are just the documented accidents, though. You will find a lot of less serious incidents in newsletters and mail lists. These are safe airplanes but they can still bite if you don’t know their history. Connectors: I needed some simple connectors to connect ADSB wires behind the instrument panel. 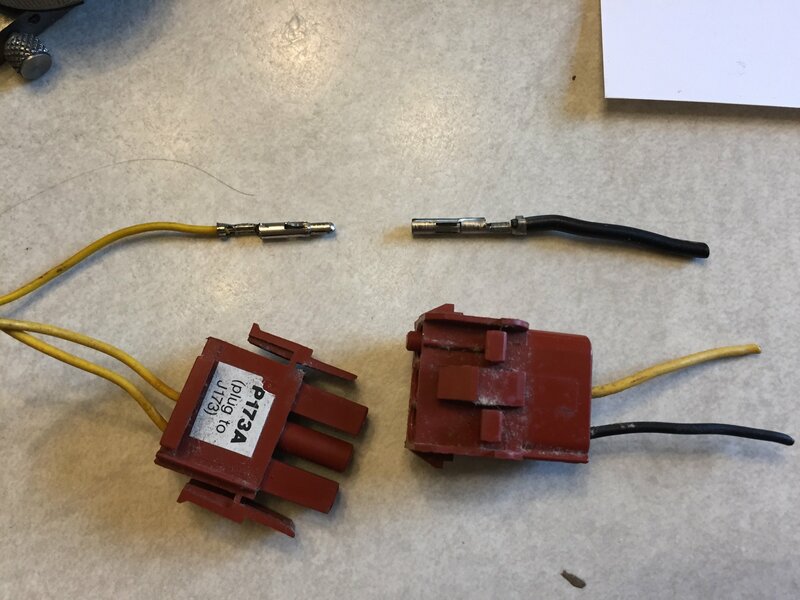 Like all homebuilders, I have a box of didn't work/didn't use/got-from-a-flea market connecters I might be able to use. I had some of these brown jobbies (pic) I had left-over from a Subaru project but What are they? and What pins do they use? Several hours and two Digikey orders later, I think I have what I need. The brown connectors are TEConnectivity/AMP Universal Mate-n-Lok. They have all kinds in their catalog and the first time, I ordered pins for AWG 30 wire--wrong. They have simple locking latches that I like--a bit easier to take apart than Fast-On tabs. I could have used Molex; they have a lot of options but use differently-shaped pins in three sizes. I made myself a little note so I can save brain cells. 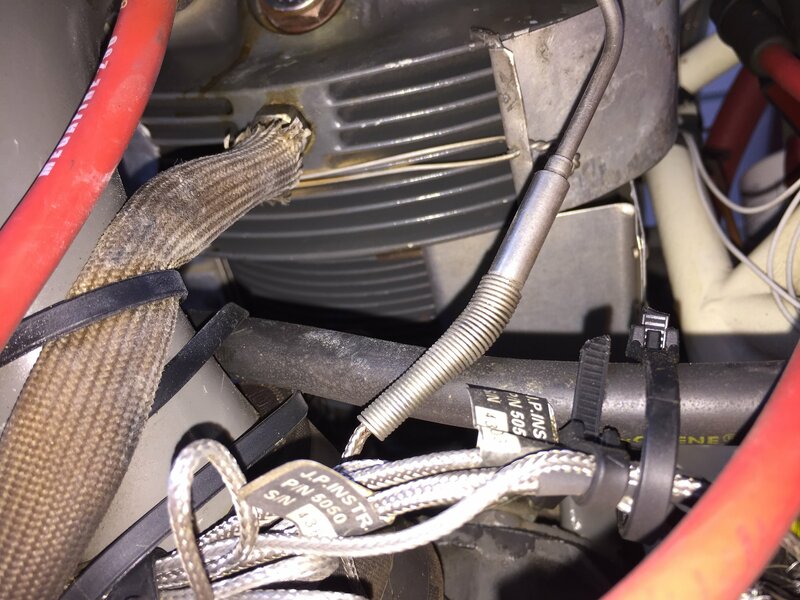 They are not expensive connectors but if you know what you need, you might find them at the Subaru isle of a Pull-Apart yard. 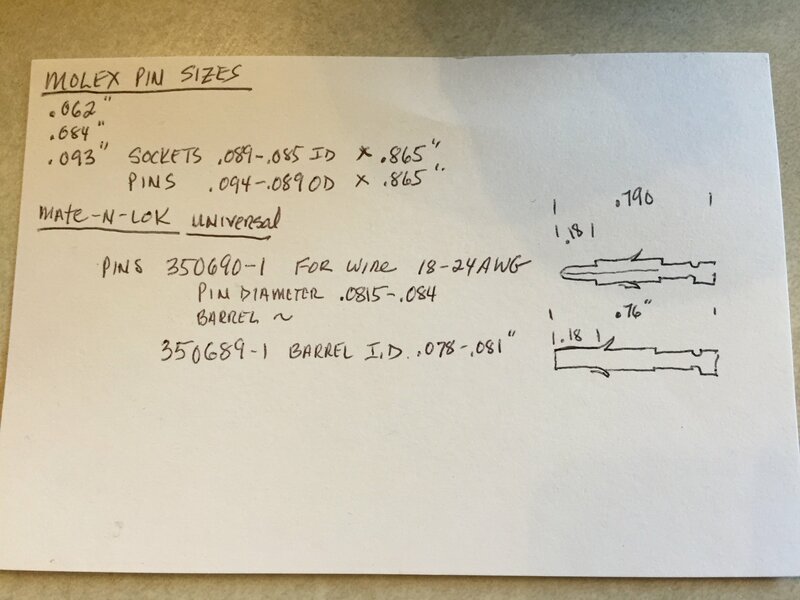 My routine is often to find what I need from Google images, use that to find the part number in a catalog, put the part number into Digikey's search box and look at a drawing or spec sheet. 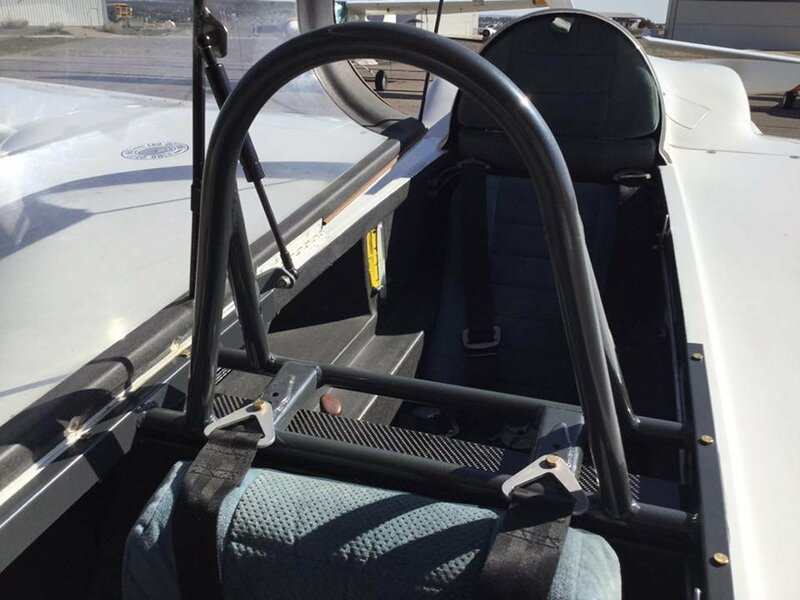 BTW, when I said above that my cockpit is comfy down to 0F, I meant to say 0C. you might find them at the Subaru isle of a Pull-Apart yard. Hey dumbass, it's "aisle", not "isle"
Yeah my wiring looks a little sloppy. It's hard to keep wiring neat especially since I had to wire a lot of stuff before I installed a removable instrument cover. 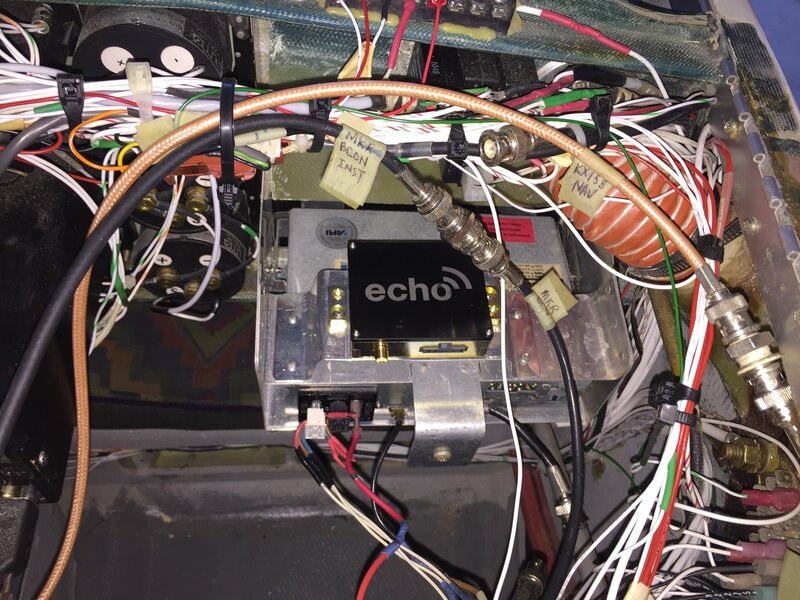 The tray below the Echo unit is homemade for an AM/FM radio. My Uavionix EchoUAT and SkyFYX-EXT are showing targets but apparently I am not putting out data. I thought maybe the problem was old software in the Garmin 327 but $180 and a software update later, no joy. I have asked Uavionix--waiting for a reply. It somewhat frustrating that there is no troubleshooting information on their site. It could possibly be a wrong setting in the App. Greensboro approach told me my UAT was working but I can't generate a performance report. 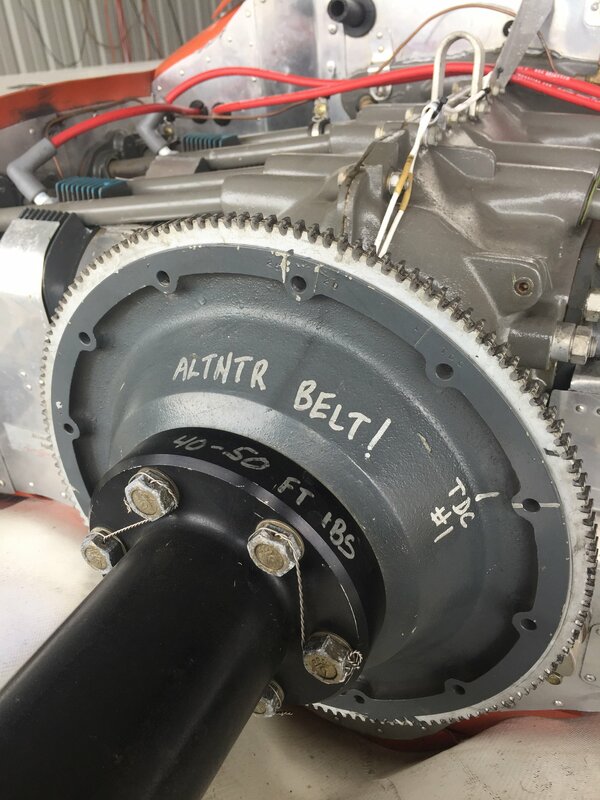 Odds and ends: (1) How many times have you installed the flywheel and prop extension, maybe the prop too, and --duh!--you forgot the alternator belt? 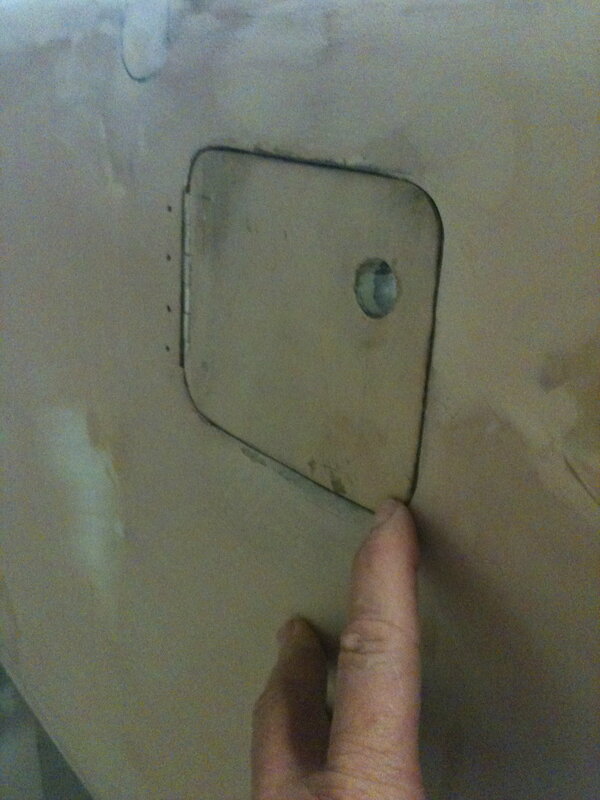 (2) Here is how much fin space I allow on the bottom of the cylinders; seems to be about right. (3) A picture of a wrap made of silicone sealant from the home stores. It holds up well there. Even around exhaust pipes, it will last a long time before it gets old and cracks. 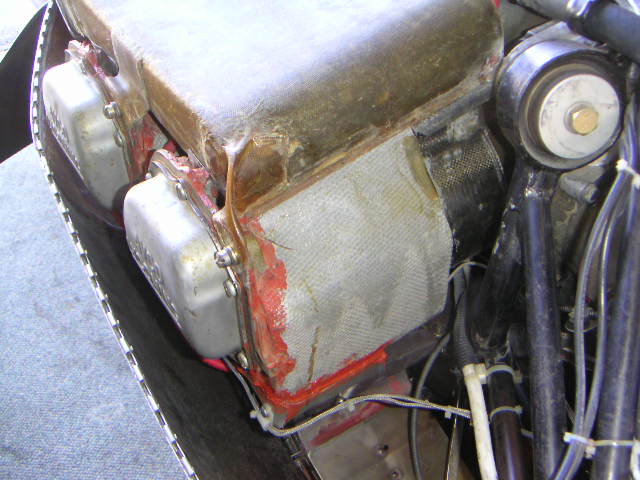 (4) A method of attaching the additional filter and fuel lines on an Ellison. I installed the fittings, then packed the tube with sand and bent it. You could try to freeze water in the tube or use an alloy made for bending tubes https://en.wikipedia.org/wiki/Wood's_metal If you use sand, pull a cloth through the tube to get it all out. 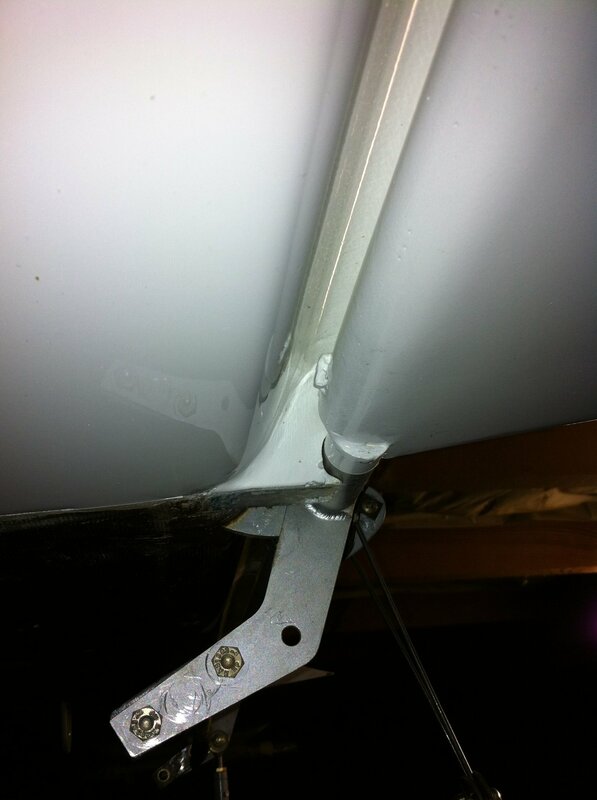 (5) I like this quick way of attaching wires to engine mount tubes: a wrap of baffle seal material and a tie-wrap. 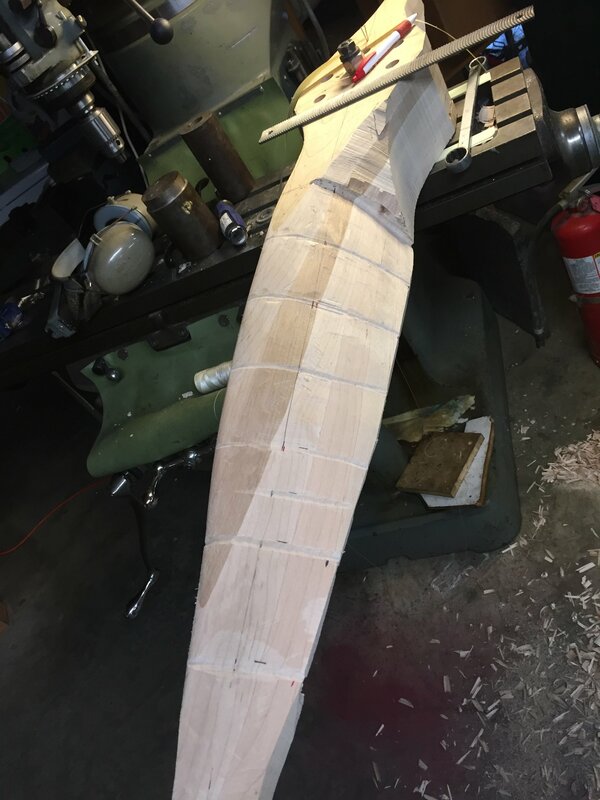 (6) Finally, I am working on a spare 2-blade prop for the Cozy. Thanks for the photos and ideas... what is wrapped around your CHT probe leads? I don't have that wrap... is it needed? On your silicone wrap on the cylinders... what kind of silicone... the plumbing stuff in the caulk tube? Is it used with BID / UNI? What keeps it in place? 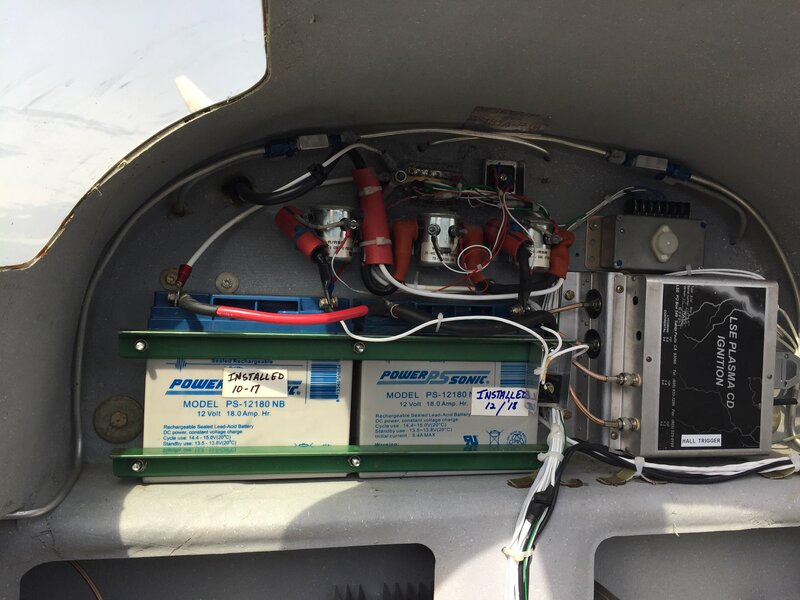 Looks like you have 2 LSE ignition systems..... that correct? The caulk is GE Silicone II https://www.acehardware.com/departments/paint-and-supplies/caulk-and-sealants/caulk/1092691 Clean the fins first with some lacquer thinner or acetone Squeegee the caulk into a layer of BID between plastic, cut to fit and stick it place. . It will stick well and can be trimmed with a razor knife. Yes, two Lightspeeds. I have been thinking about going to Earth-X batteries and save 40 lbs but they are SO expensive. Still, they're said to outlast 3 of the SLA batteries. 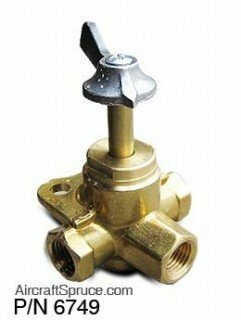 Fuel valve maintenance: I use the cheap Weatherhead fuel valves ($27 vs $200+ for the high-buck valve) but they require maintenance. There is a deldrin(?) spool in the valve that will begin to stick after a few years and the valve will become hard to turn. Folks who ignore it have found the valve will jam, then you crash. 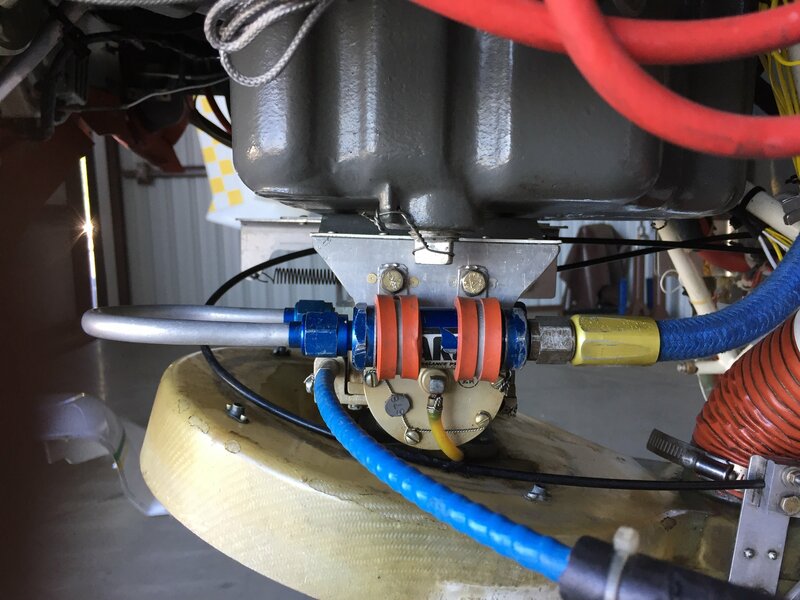 😞 To prevent that, I burn most of the gas out of my tanks and prop the airplane nose up so I can take the top off the valve without spilling fuel. 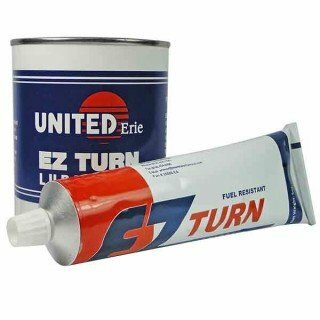 Then use a tiny smear of Fuel Lube or EZTurn on the spool. A small tube of lube is a multi-lifetime supply. The first time I lubed the spool, I used too much lube and found bits of it later in the gascolator screen. It does not dissolve in fuel and can gum up the screen. It only needs to be lubed about every 5-8 years. Prop is taking shape. I am finding it a fair bit harder to carve a tapered prop (pic 3) versus the last one with a straight trailing edge (pic 4). With the latter, the templates are easy to position off the trailing edge. 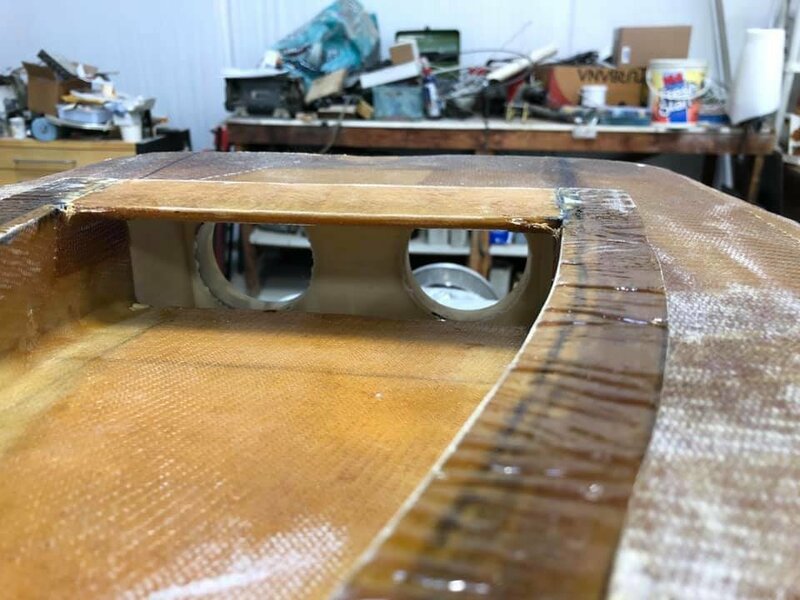 With the taper, the templates have to be positioned off the centerline which is somewhat tricky to draw accurately and gets rasped-away as you work. 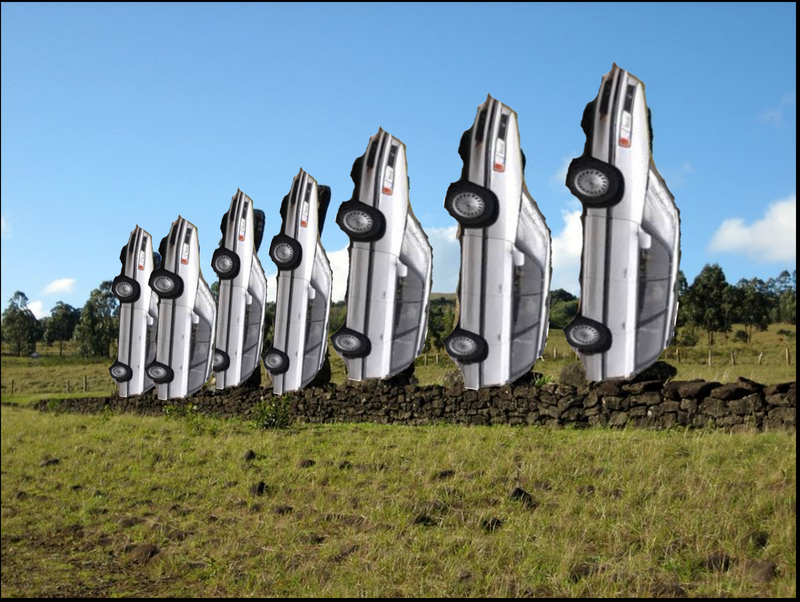 A rollover seen on FB (pics 1,2). Credit Bob Hutter. It is fun to see how people do these things. The 3rd pic is what I built for my Long-ez. I found that making the longeron angles in four pieces allowed it to warp a bit when welding--better and stouter to have continuous angles at the sides, I think. If I was building one again, I would put some strips of Fiberfrax on the longerons to protect the glass before tacking it up. 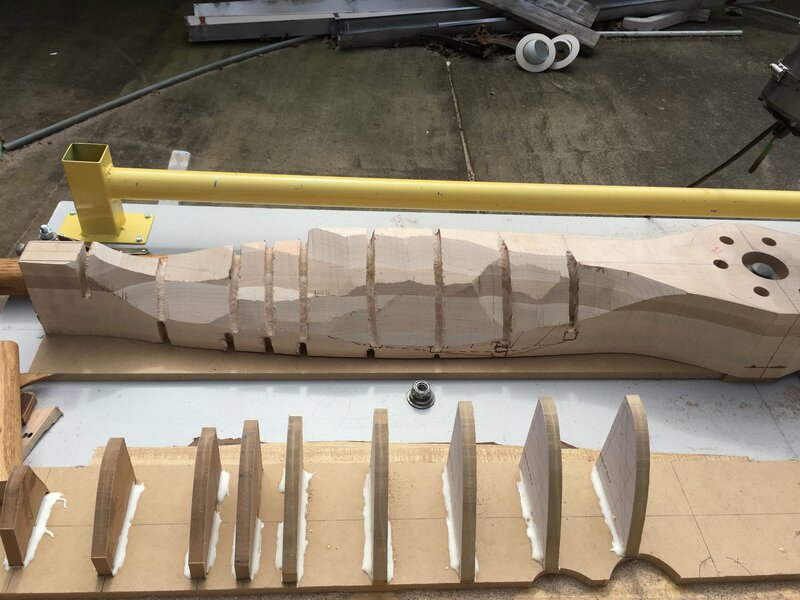 Also plan a recess for the angles before glassing the wood longerons. I like these better than the composite rollovers I see. 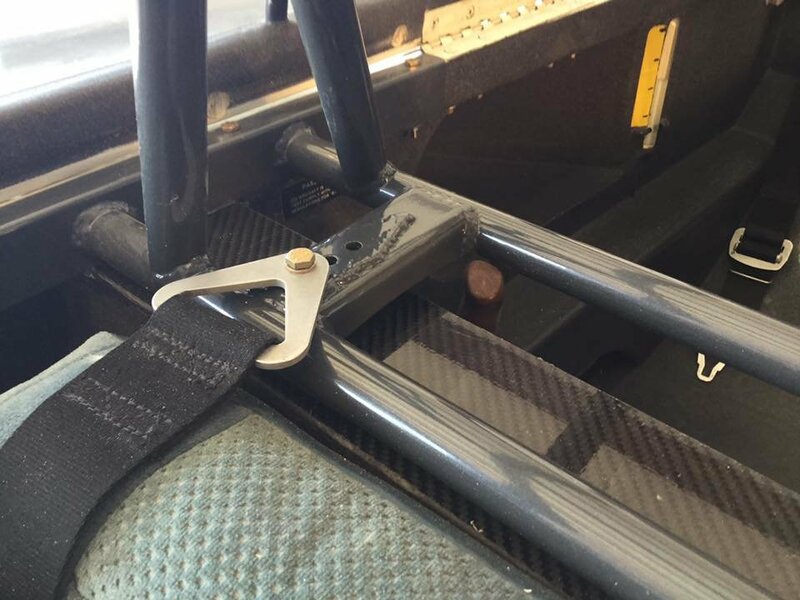 You can weld mounts for a GPS or GoPro and they make a good grab-bar for getting out of the back seat. Here is a prop that flew through freezing rain--my once-beautiful "Ashton Blue Blade". 😞 The pilot did not know to reduce RPM. 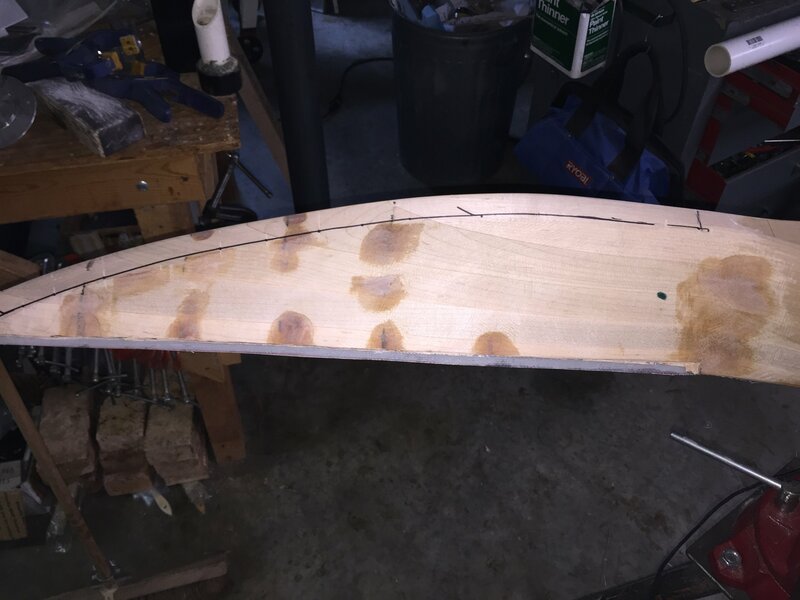 It can probably be repaired with some JBWeld but the leading edge fiberglass wrap has been breached so it might need some glass work and it will certainly need stripping, refinishing and balancing. 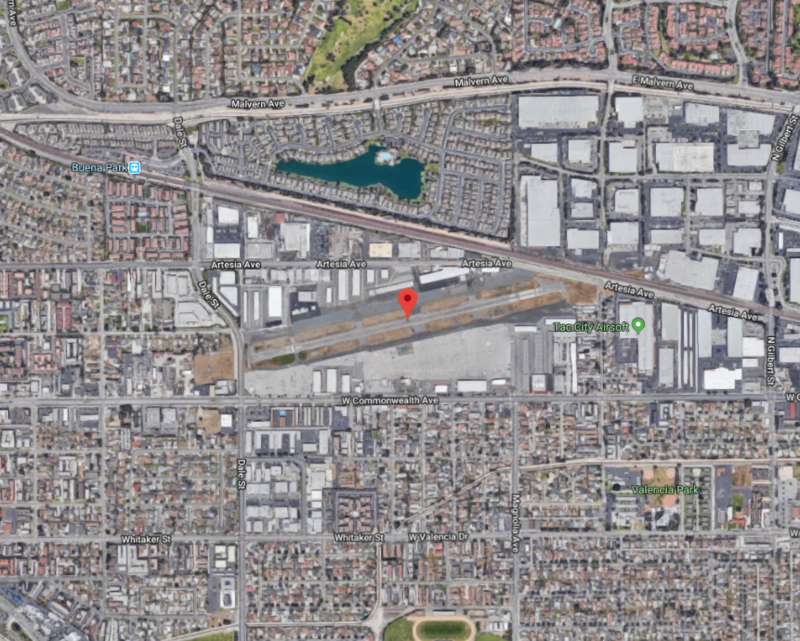 Another reason not to fly hard IFR in these airplanes but if you do, pull it back. Pilot said he also got ice on the canard. Scared him pretty good. Old lessons for new students! That's a pretty rapid erosion. Freezing rain or hail?! 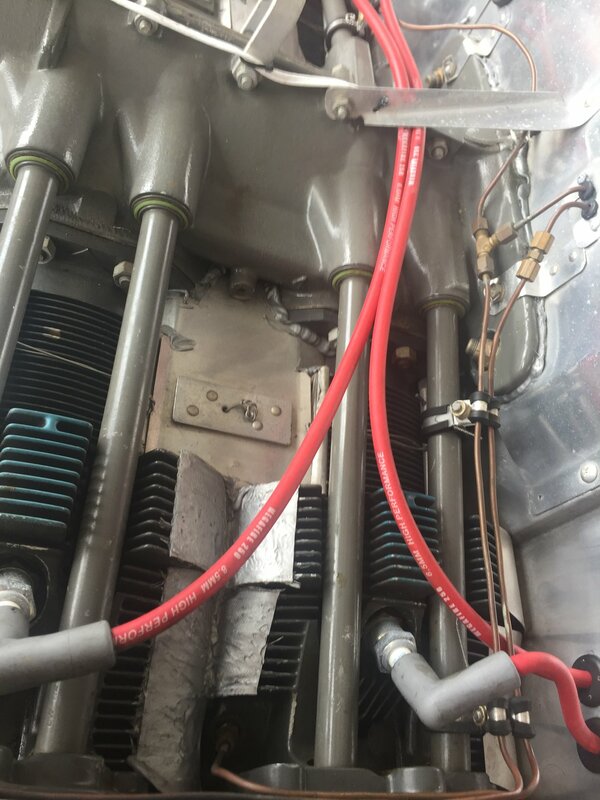 Good Van's thread here about baffles: http://www.vansairforce.com/community/showthread.php?t=37835 Note the side of the cylinder that does not pass air and how to make a bypass there. On a pusher it is the front of #3 and the back of #2. 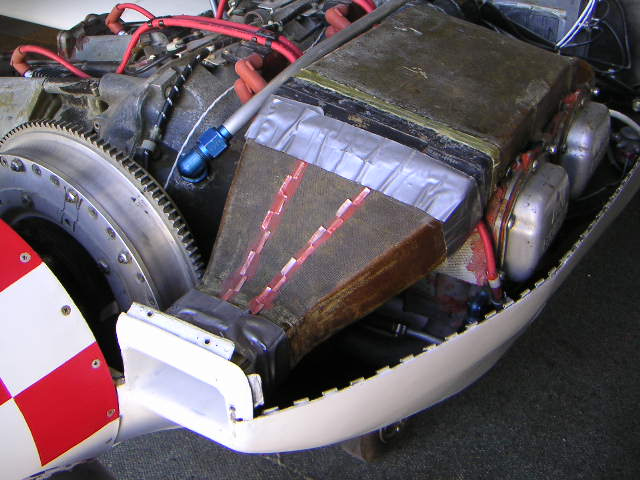 Also note how cylinders are wrapped to force the air to flow through the fins. (pics 1, 2). 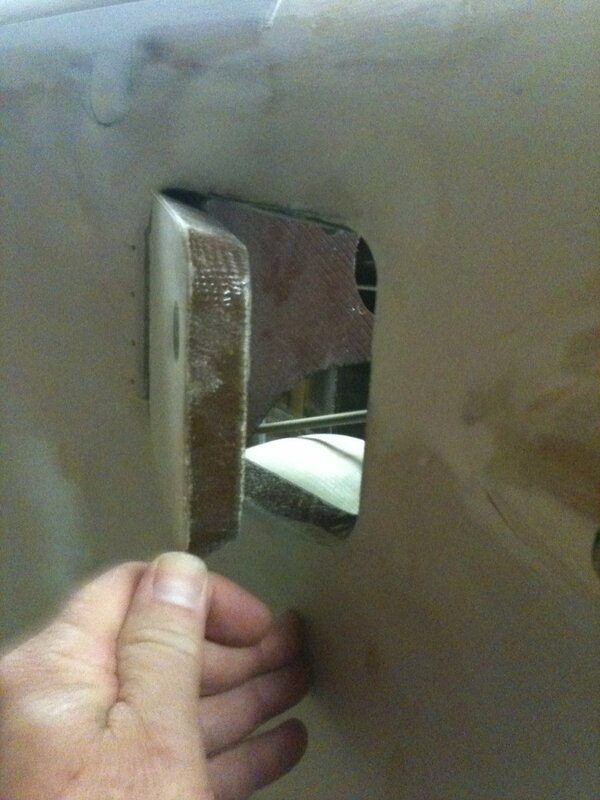 The thread mentions Porsche cylinder baffles (pic 3). Porsche doesn't wrap the cylinders as I would expect but maybe they are designed for easy removal and maintenance. 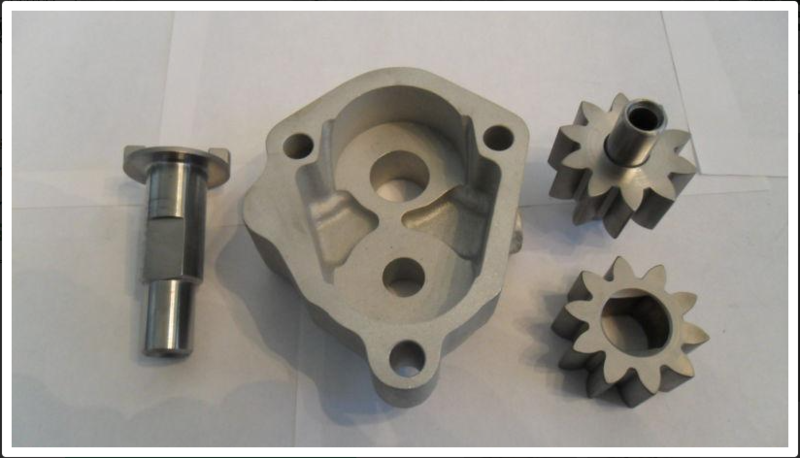 Lyc cylinders wrapped with aluminum are a PIA to take apart and sealing up all the little irregular shapes and holes is a task. 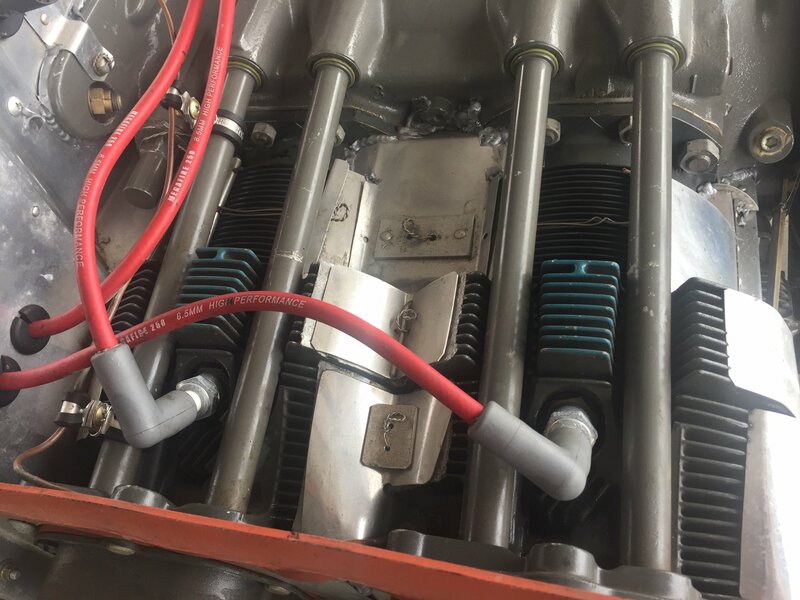 For updraft cooling, I have settled on pieces of aluminum that wrap the cylinders, separate pieces in the center of the cylinders that seal the gaps, and some silicone wraps in various spots (pics 4, 5). Sometimes I see updraft pusher cylinders that are not wrapped on the bottom. It's hard to quantify the effect. There is likely a blast of air on them from the updraft flow but does it penetrate the fins as well is if they were wrapped? I don't know. You can fiddle around and get good cooling but the ideal is to get good cooling with the least amount of air used. For that, every bit if air has to go through the fins. 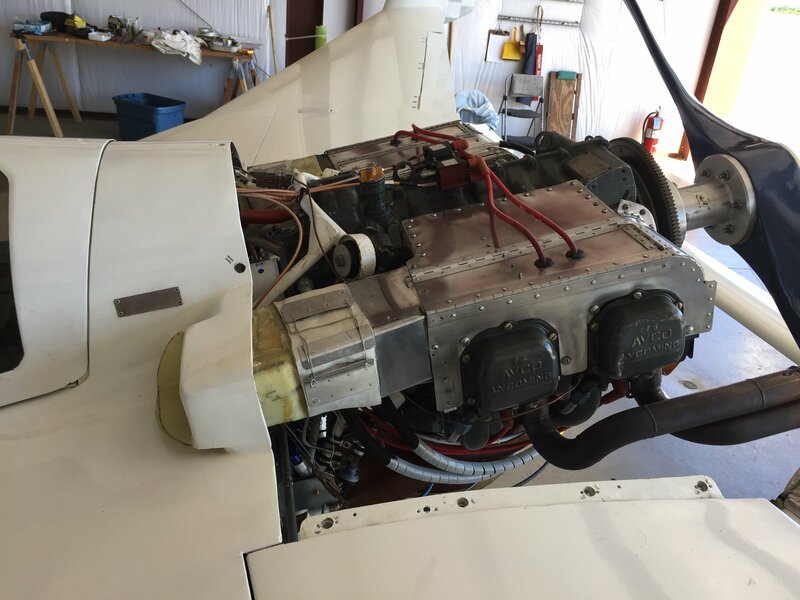 File this under: "THE ENGINE IS TRYING TO TELL YOU SOMETHING" : A poster on another site has 170 hours on an overhauled Lycoming with abnormally low oil pressure the whole time. For the past year the best he can get with warm oil is about 57 PSI. 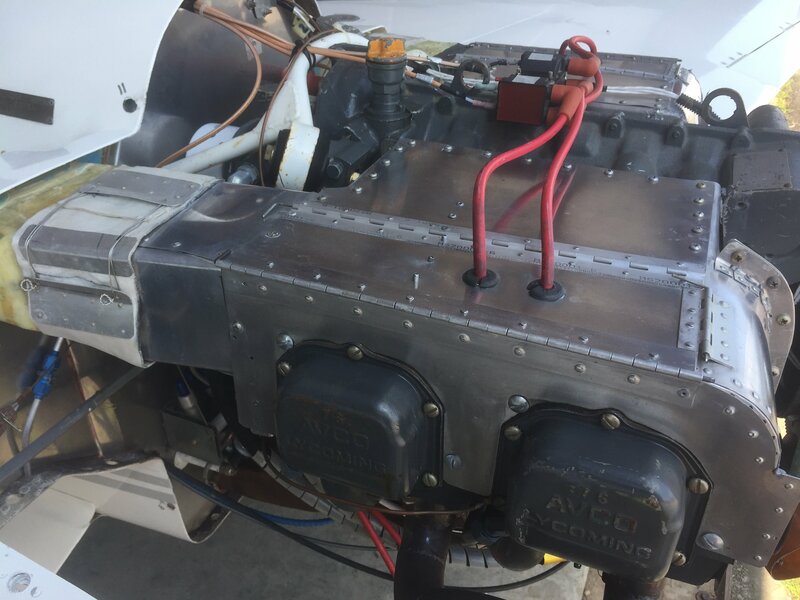 The Lycoming minumum on a plain O-360 is 55 psi and around 90 is what I usually see. 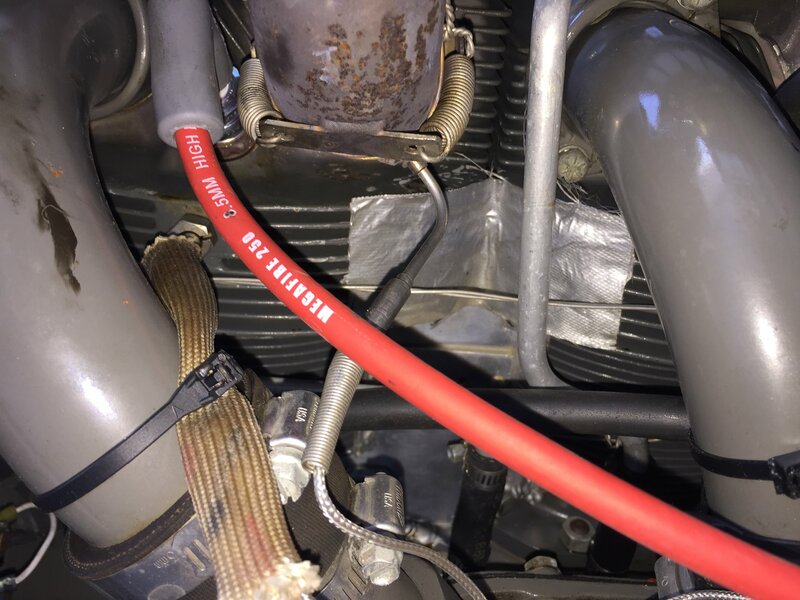 He has futzed around asking how to adjust pressure all over the internet for the past year. 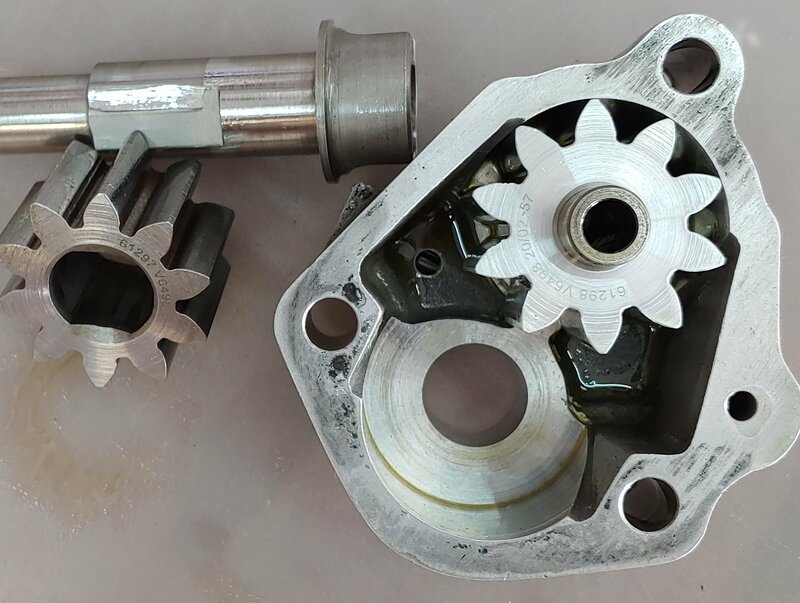 Recently he showed his oil pump which he says had "new" impellers at overhaul and says "The housing looks clean...just some expected wear marks but not deep or like there was metal spinning around." Really?! Pic 2 is a new pump and impellers. 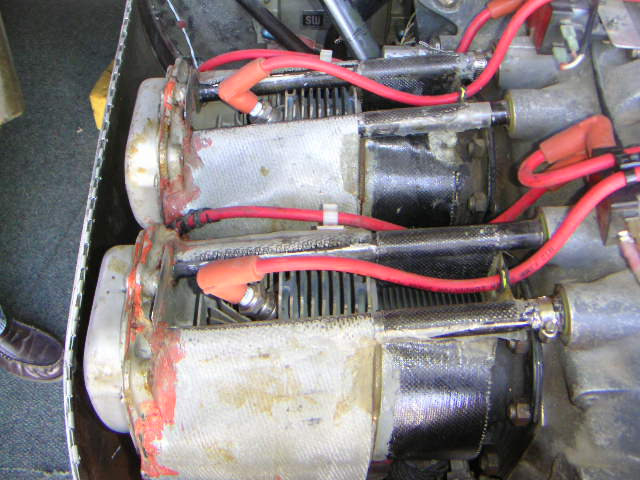 I am not an A&P but looking closely at his pictures, his impeller looks worn out. The left impeller's teeth show an irregular pattern as if it's not meshing correctly with the other impeller. There are deep score marks on the sides of the impellers, in the housing and on the shaft. 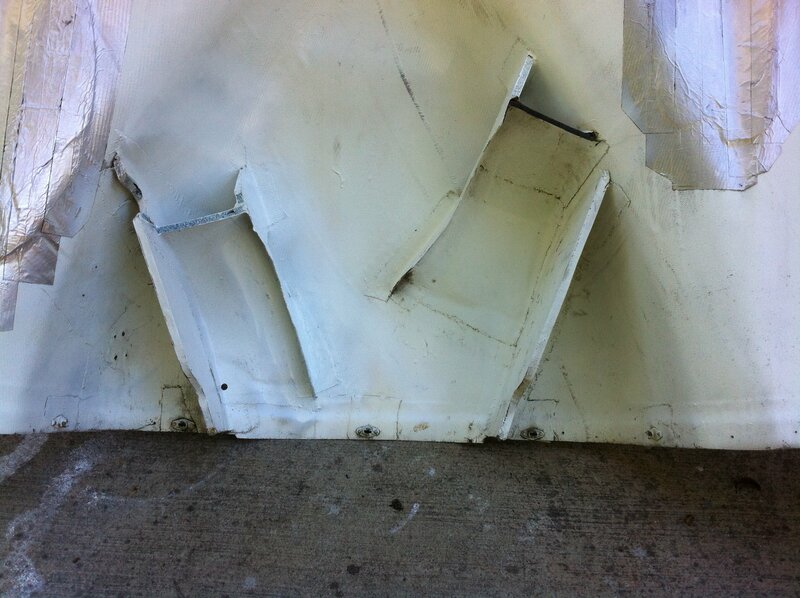 If you expand the pic you can see ragged aluminum in the housing left from the scoring. It's not surprising to me that this pump is not making adequate pressure. If this chap had done a proper inspection a year ago, he might have had recourse to go back to the overhauler for an explanation. Now he's run it on low oil pressure. Maybe the scoring also result from metal floating around in the oil and metal has also embedded itself in the bearings and scored the crank journals. Mike, The O-360 overhaul manual gives a spec for backlash of the impellers (.008-.015" or .008-.012", .020 max). The Superior O-360 OHM calls it "backlash and end clearance" with a slightly different spec (.010-.030") but I imagine that covers impeller backlash and impeller-to-housing clearance. When I took my O-320 apart it was obvious the impellers rub against the housing a bit and leave a round mark on the housing but as I recall, it was just a nice clean rub pattern--not like that guy's. There are AD's out for those impellers. Generally the aluminum and sintered iron impellers were replaced by steel. That does look unreasonably worn out for under 200 hours. Something is not quite right with that pump. I'm betting that last picture up there is showing upwards of $1,000 in parts.